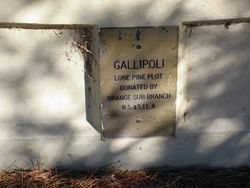 A pine tree, propagated from the pine brought back from Gallipoli, commemorates those who served in World War One. 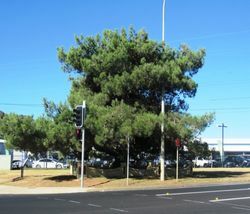 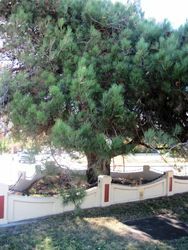 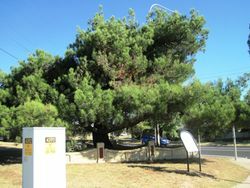 It is believed that this tree is of the third generation of trees and part of a funding raising scheme by the Returned Sailor`s and Soldier`s Imperial League of Australia (R.S.& S.I.L.A.). 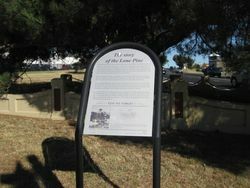 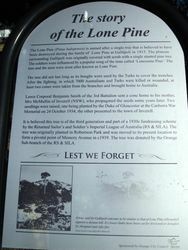 It was originally planted in Robertson Park and was moved from there to form a focal point of Memory Avenue in 1939. 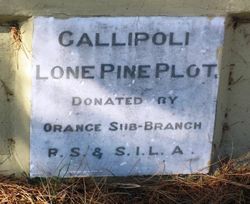 Donated by Orange Sub-Branch R.S.& S.I.L.A.